The charts below might be kinda outdated since they are in 2010 & 2011. I was wondering if there are statistics for 2014 but unfortunately i couldn't find any. Hence I uploaded the charts first without any commentary for this last blogpost in 2014. The latest grim statistic in 2013 still paint a pathetic picture: S'poreans work the longest hours of 2402 hours annually in the world hence little has changed. Even the workaholic japanese with their term 'karoshi' which means death from overwork work around 27% less hours than Sillyporeans. 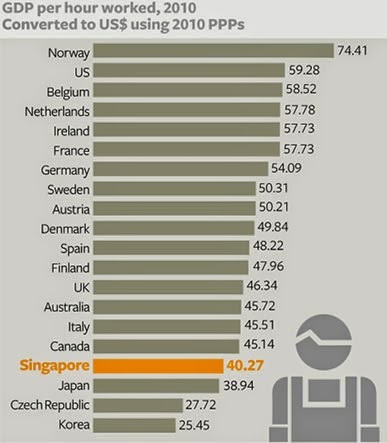 Except for Korea, other countries with high standards of living are working at least 20% less hours than us. Personally I find that the hybrid regime's mindset is stuck in industrial age. During the agrarian age of our great grandparents, working more hours in the field isn't going to produce more crops. Certainly there are times of the year when more hours are needed in order to reap in the harvest but working overtime in winter isn't going to sprout you new harvests. To the hybrid regime whose mindset is stuck in industrial age, it's all about getting the workers to slave long long hours to produce more. Singapore Tourism Board Still Stuck in Industrial Age Advertising is a recent example that i've elaborated upon. Many well-to-do households & even middle classes employ maids to do housework. We don't see this type of phenomena in other first world countries because the labor costs of hiring domestic help is expensive. Thus workers in other 1st world countries have to be more productive during their shorter working hours so as to go home to do housework etc as well as have a life outside of work. Sillypore being located in a region of cheap labor from much less developed nations. So Sillyporeans can employ maids so they can slave long long hours at work to up gdp at all costs. The hybrid regime likes to boast about gdp growth in their govt propaganda mouthpiece. However if we look at the output/hour it is among the lowest among developed economies despite slaving long long hours. 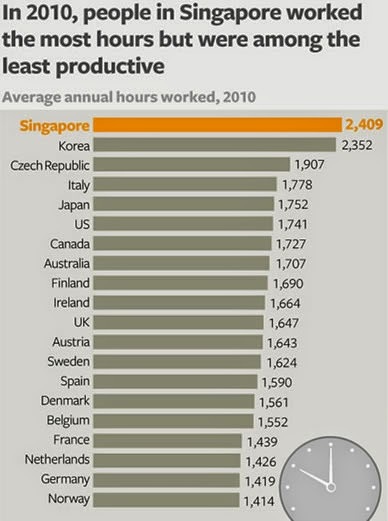 Germans work around 40% less hours than Sillyporeans yet their country is Europe's economic powerhouse. Most the of the western expats in Sillypore would not stay long term here due to the toxic working hours. Most use SG as a springboard to visit nearby tourist spots like Angkor Wat, Mt Kinabalu, Bali, Bangkok etc during their work stint here. As for the immigrants working here, they can toil long hours for a couple of years before moving to other 1st world countries or back to their home countries to enjoy a more humane way of life. Industrial age mindset has ended for other countries but not for SG. Their working hours have declined considerably. Don't you loathe it when you have friends/family members around you who often can't keep you company because they have to work long hours else they would be fired? 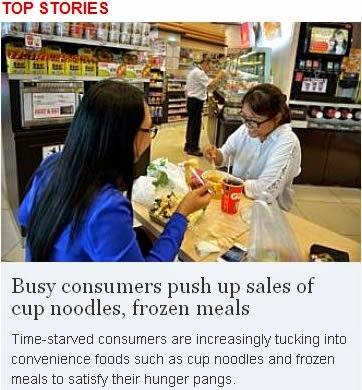 Singaporeans have to compare with other 1st world nations & ask themselves whether they are having a better quality of life by slaving long hours under the hybrid regime being paid $M salaries.